Rani Thiarra - Southill Park 2016 Player of the Year. Southill Park made it five wins from five with a comprehensive victory over second-placed Eversholt to stay top of the Beds County League on Sunday. Victory at the SPCG saw the club make it three wins from three games for the second consecutive weekend. Groundsman Graeme Lamb once again produced an excellent surface for cricket so skipper Jack Good was delighted to be invited to bat having lost the toss. Park got off to a flying start with the experienced, wily, Mehull Adatia (22) and action man Lee Hoggett (75) putting on 67 for the first wicket. The classy Hoggett was joined by the efficient Ben Wallis (26) who together posted a partnership of 66. The innings gathered even more pace when the powerful George Darlow (61 from 49 balls) and ebullient Rani Thiarra (39) put on another 74 for the fourth wicket. Ed Lamb (17) with a late innings cameo scored at a run a ball to enable Park to post an impressive 273-9 from 45 overs. Eversholt started their reply brightly but wickets began to tumble as the required run rate climbed. Captain Good (1-24), experienced allrounder Dave Moore (1-30), promising youngster Lamb (1-2), deadly spinner Darlow (3-41) and accomplished death bowler Kieran Brasier (4-18) ripped through the batting to reduce the opposition from 90-2 to 143 all out in a devastating display of bowling, catching and fielding. Park won by a massive 130 runs. The Southill Park Saturday XI roller coaster ride continues with six wins from six games following an emphatic demolition of Burghley Park at the SPCG. Burghley won the toss and batted but were soon in trouble as the metronomic Jack Good (1-13 from 10 overs) and agressive Ross Fensome (2-20) reduced the opposition to 10-2. Kasif Bhatti (4-25) continued the pressure with his mesmerising leg spin bowling in tandem with accomplished death bowler Kieran Brasier (3-13) who finished off the innings restricting Burghley to a disappointing 96 all out in 36 overs. Kenny Statham nabbed two stumpings. Southill Park raced to 32-1 from six overs before tea. The onslaught continued after the break with skipper Ben Slater (39) leading from the front, ably supported by Good (24) and big hitting Shaylen Tomlinson-Patel (28 not out) who secured victory with a massive six over midweek inside 15 overs. 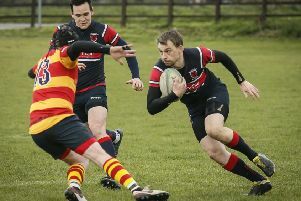 Southill IIs move up the table as a result of Hexton conceding their Division Four fixture on Sunday.